Winter is here! If you're a dog owner, this is the perfect time to tend to your pet's wellness needs. These tips can help you take care of your dog in 2019. Winter can be hard on dogs, just like it's hard on people. When temperatures drop, keep your dog indoors. 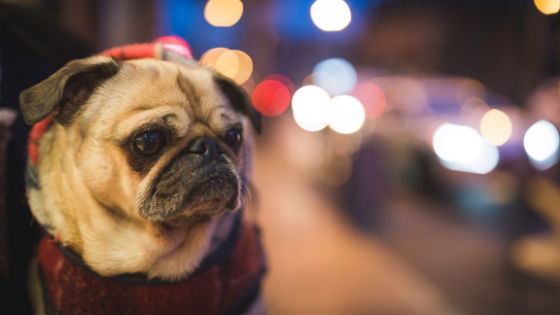 If your dog goes out for a little fun, keep track of how much time your dog spends outside, and bring your dog in after a short period of time. Some dogs need to stay warm by wearing dog sweaters and booties. Check with your pet's vet to see if these things could help your dog. It's hard to keep your dog physically fit when the weather is cold and unpleasant. If you don't want to take your dog outside, exercise your dog indoors. Take your dog to indoor facilities where dogs are able to walk, and play with your dog inside your home. If your dog starts to gain weight, talk to your dog's veterinarian about ways to keep your dog moving. Winter is the perfect time to catch up on vaccines! Make your dog's appointment with the veterinarian. If your pet is more than one year old, he or she will likely only need boosters about once annually. Talk to your pet's vet if you're not sure what shots your pet needs, or when. While you're at the vet, have your dog's teeth cleaned. Most dogs need to have their teeth professionally cleaned at least once per year. This is an excellent way to prevent your dog from losing teeth or suffering from a painful gum condition. Dogs with a lot of hair usually need it cut off in summer, only to have it grow back in winter. If your dog has a naturally long, full coat, talk to your dog's groomer to find out what style of cut is best for your dog at this time of year. At Taluswood Apartments, we love dogs. We want to meet yours! If you're looking for apartments in Mountlake Terrance, WA, contact us today to see what units we have available.